'Lucky for you, there's nothing to do here,' declares a new ad. When you think “vacation,” Nebraska probably doesn’t come to mind. Maybe you think “corn,” “flat,” or even “boring,” instead. 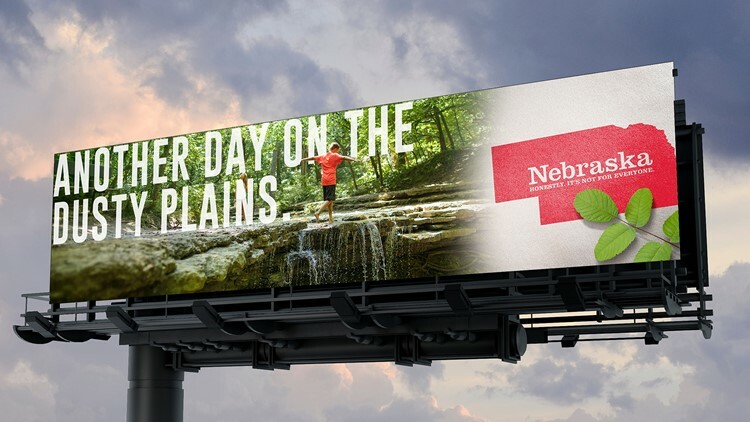 But the Nebraska Tourism Commission is trying to change that with a brutally-honest marketing campaign unveiled on Wednesday. Their new slogan captures their feelings toward their state perfectly: “Honestly, it’s not for everyone.” Simply brutal. Another ad shows hikers walking across an undramatic rock formation. “Famous for our flat, boring landscape,” the caption says. 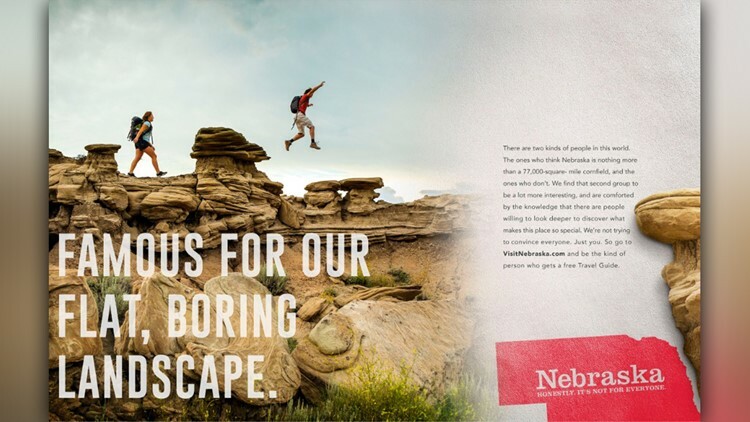 A new ad created by the Nebraska Tourism Commision promotes Nebraska's "flat, boring landscape." So the marketing team knew they needed to do something different this time around. “It was important… to be true to who we are and honest about what we are not,” said Deb Loseke, Nebraska Tourism Commission Chair and Columbus/Platte County Convention and Visitors Bureau Executive Director, in a statement. “We discovered that we can't offer something to everyone - but to those that we can, this campaign speaks to their sense of adventure and discovering what we as Nebraskans are all about,” said Loseke. 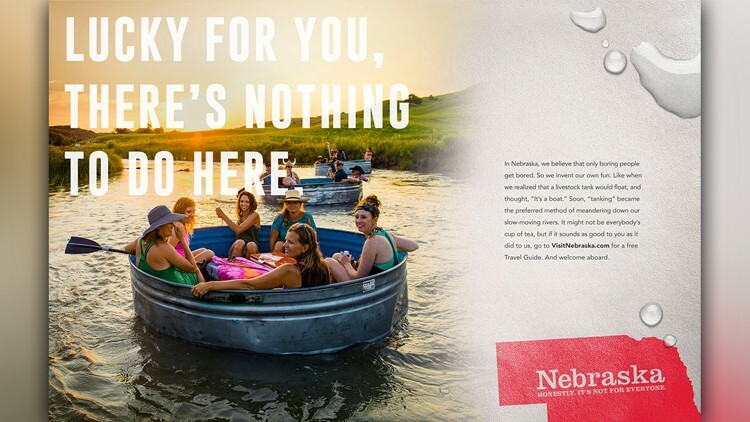 'Lucky for you, there's nothing to do here,' says one of the Nebraska Tourism Commission's new ads. What kind of tourists is Nebraska attempting to lure to its restaurants, hotels and attractions? Only time will tell if the new strategy works. In tests earlier this year, the Nebraska Tourism Commission found that the campaign’s “self-deprecating humor” actually made respondents want to visit Nebraska. The tourism commission plans to debut their new ads in key out-of-state markets in Spring 2019. The Nebraska Tourism Commission's new ads play with self-deprecating humor.